For any request consultation of architectural design, please do not hesitate to contact to the address specified below. 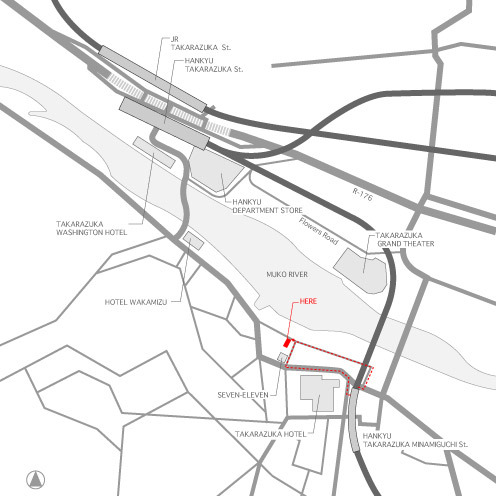 40 minutes from Itami Airport by Osaka-Monorail and Hankyu Takaraduka Line. 40 minutes from Shin-Osaka station by JR-Fukuchiyama Line.